Gulf Coast chapter members spent a Saturday in August volunteering at community events. Check out a recap of the events below. Gulf Power and AABE hosted the Energy Savings Fair at Cordova Mall in Pensacola on Saturday, August 15. AABE members provided the public with tips on saving money on their energy bills. They also introduced energy efficient technology like electric cars, heat pumps and induction ovens. To read more and view video coverage of the event, click here. Mississippi Power and AABE partnered for JZ 94.5’s annual Saving Our Sisters/Brother 2 Brother Teen Summit on Saturday, August 15. Teens received information about AABE's scholarship opportunities and information on “dressing for success”. Young ladies were given scenarios and asked to choose the appropriate outfits from a mock closet. 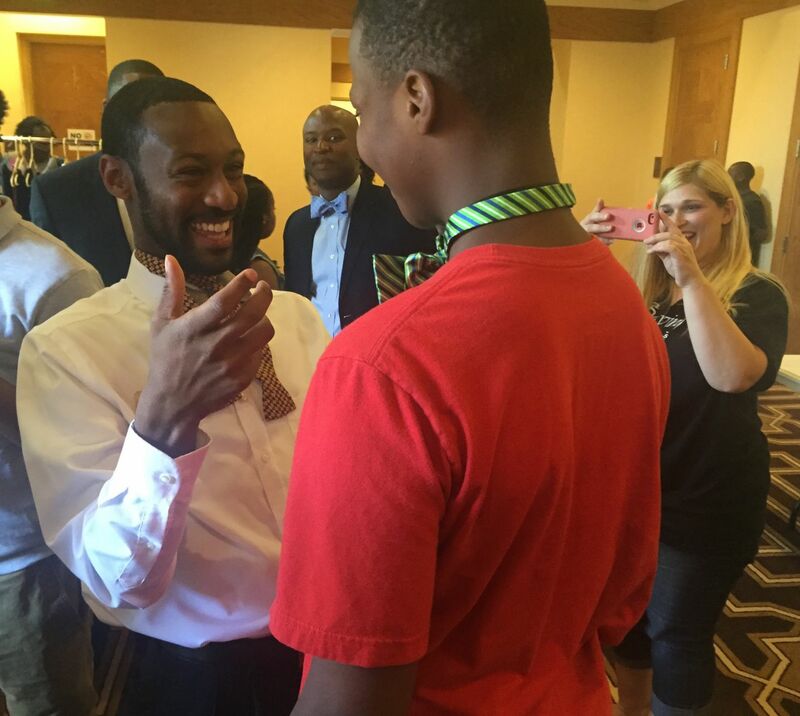 The young men received instructions on tying a tie and bow tie, practicing with male employees. To read more and view photos from the event, click here.